The Supreme Lord (God) is the father of all the souls. Your love on another human being is only brotherly love and is conditional. 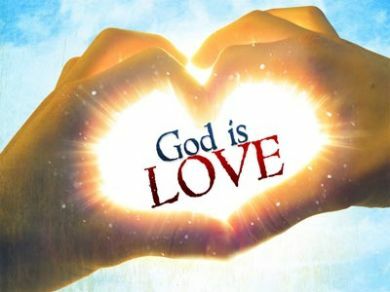 The love of god is far greater and unconditional than humanly love. You are criticizing your father for punishing your brother ! The father tries his best to transform his son. In Ramayana, on the first day of the war Ravana was defeated by Rama. Rama could have killed him on the very first day. But he asked Ravana to go back and think that night. The Lord punishes any one as last resort. Even then, the Lord does not have anger or hatred for them. The punishment is only the last method attempted for this transformation. There also the aim is only transformation. But when you punish your enemy such aim does not exist. Therefore the punishment by Lord is also reflecting divine love of god and kindness on the soul. Due to such sacred aim the Lord is authorized to punish the soul. He is just like a teacher who punishes his student for their misbehavior. The teacher does not get any sin in such punishment. The reason again is that the intention decides the action. Therefore when you live in the world, according to instructions given by the Lord, the Lord is pleased by you. The Lord will make you happy in this world. Your happiness in this world is an indication of his love and grace. Therefore you will be happy in the upper world too. He is the only one lord for both the worlds. Therefore if you are sad in the worldly affairs, you will be sad and unsatisfied in the spiritual matters in the upper world also. If you are blessed in this world you are also blessed and happy in the upper world too. Therefore you follow his commandments and be happy in this world. When you are serving the Lord you should be happy and grateful in the sacrifice. You should not sacrifice to the Lord with unhappiness. The sacrifice with unhappiness will make the Lord unhappy and angry. The result of such service is unhappiness in the upper world. Therefore it is better not to sacrifice if you are not happy. Why should you purchase the unhappiness with such sacrifice? Are you unhappy when you are sacrificing to your family members? Therefore the sacrifice without any force or unhappiness is not only waste but also brings negative results in the case of Lord. In the case of family members if you sacrifice with unhappiness it is waste. Therefore the intention is very important for the Lord. You should not do any sacrifice aspiring something in return. Such sacrifice is only a business. The business done in the case of your family members may bring benefit or loss. But in the case of Lord the business always brings loss. Therefore live in this world according to the instructions of the Lord given to you with regard to other human beings. With regard to the Lord do sacrifice and service to the Lord to that extent only up to which there is no force or pain or business.